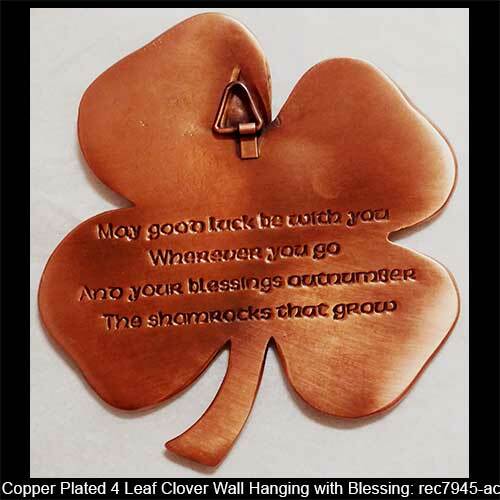 This four leaf clover wall hanging features copper plating over solid pewter construction and it is enhanced with an engraved Irish blessing on the rear. 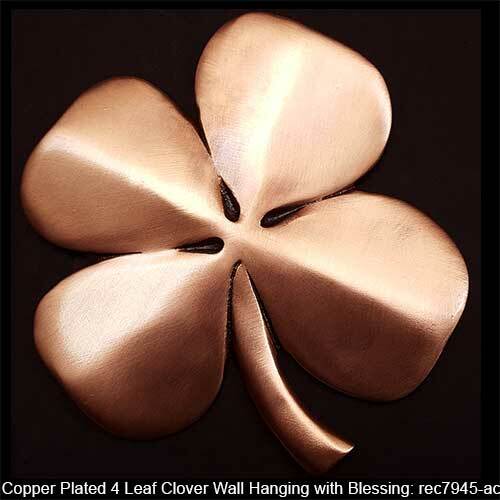 The ready to hang four leaf clover plaque measures 4.5” tall x 4.5" wide. This clover plaque is made in the United States and it is gift boxed, complements of The Irish Gift House.